Capadia Designs: Well - it's about time - let's celebrate!!! In early January, the hit counter on my blog passed one million. 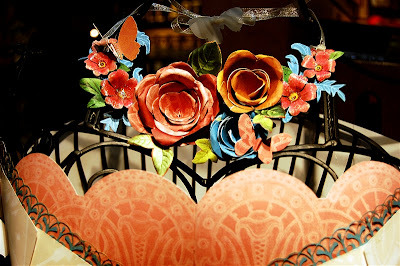 February 1st was my three year "blogoversary." In March, the number of posts reached 1,000 (that's a lot of projects and writing!). Now it is April and I think it is about time to have a blog celebration in honor of all of these milestones. I have been looking into some new options and may be changing things around as I continue to develop as a crafter and designer - I hope you will enjoy the journey with me! If you are a long time reader of my blog, you know my favorite numbers are three and seven. 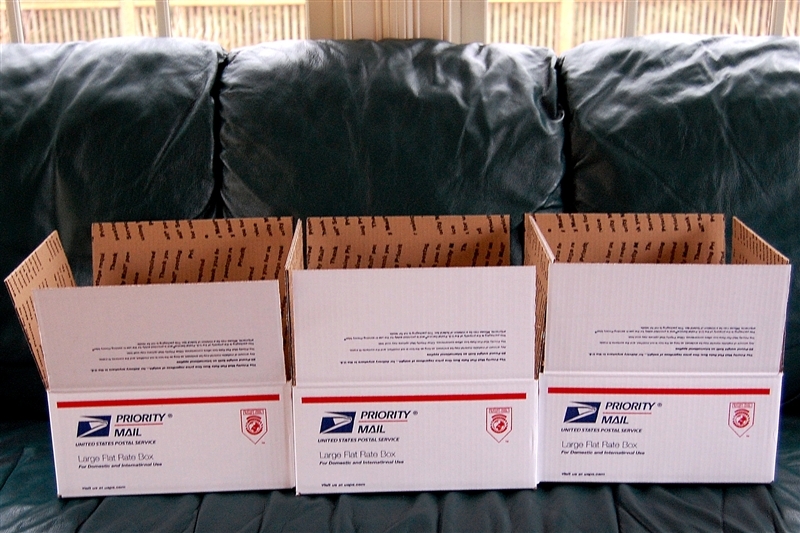 I went to the post office and got three large flat rate priority mailing boxes and for the next seven days I will be adding items to the boxes - at the end the week I'll draw to choose three winners and send off some amazing gifts to three people. Some days I'll add several items and some days just one - so you'll need to check in every day to see how the boxes are filling up. Some of the things I'll be adding are similar, but not identical - just to keep things interesting. The boxes will be sent randomly to the three winners so you won't know exactly what you won until you are unpacking the box (I love a surprise and I hope you do too!). 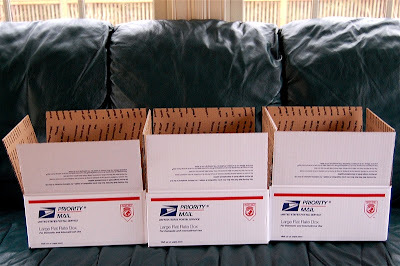 Some of the items in the boxes have been donated by companies that I have worked with over the past few years and others are items that I have selected and purchased to share with my readers. 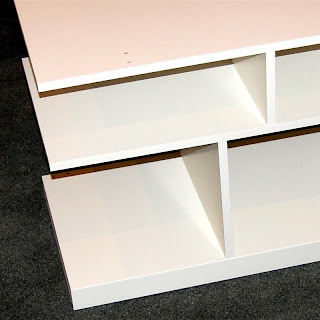 There are also a few things that I have made to add to the boxes - I hope you like them! 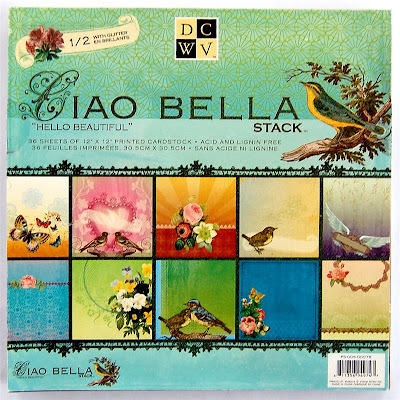 I chose the large flat rate boxes because they would hold a 12 x 12 stack of paper - and the first item in each box is a fantastic DCWV stack called "Ciao Bella" (or "Hello Beautiful"). There is also a page of elements that can be cut out and used with the papers. When I was looking for the date of this stack I discovered that it is the second version of the stack. 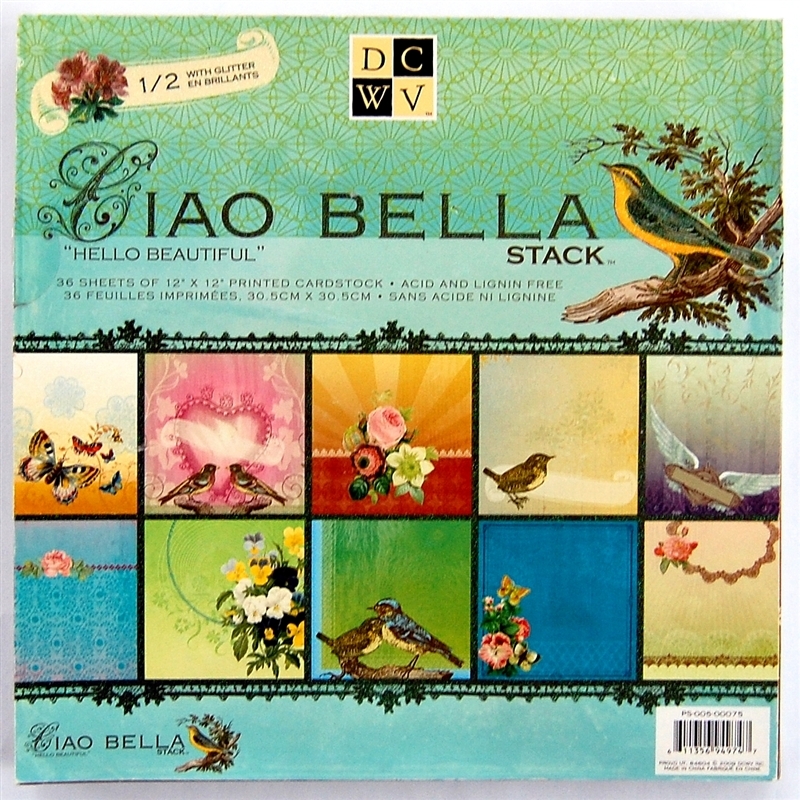 If you are a digital scrapper you can download a free kit of the original stack from the DCWV 300 dpi site HERE. You can also purchase the digital version of this stack - the two versions would work wonderfully together for a large project. 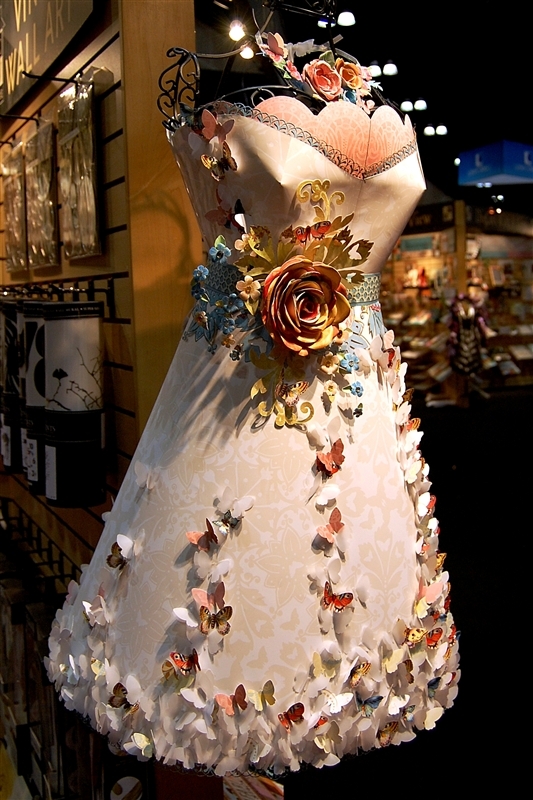 This stack was also used for one of the fabulous dresses in the DCWV booth at CHA in January. In addition to the paper stack, each box has one other item added today. 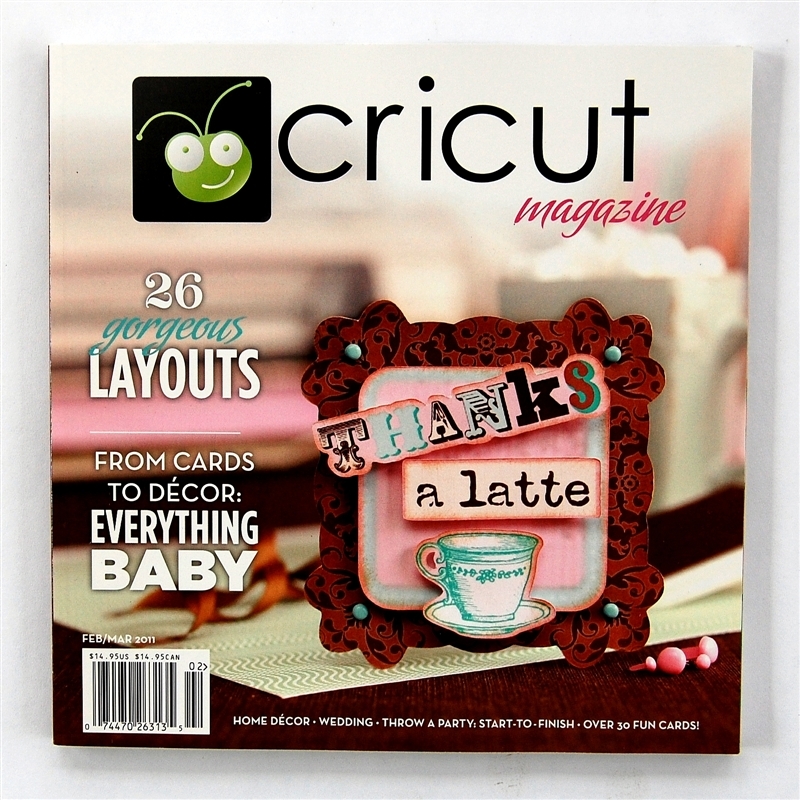 The February/March Premier Issue of the Cricut Magazine. I received these at CHA from Northridge Publishing in the ProvoCraft booth. I was surprised when I looked through this first issue to see that there were a lot of items used in the projects that were not made using the Cricut (scalloped borders from dies, chipboard letters, etc.). I talked with the representatives and they assured me that future issues will be more focused on using the Cricut to full potential. The magazines from Northridge are beautifully produced and there are some nice projects in this first issue. 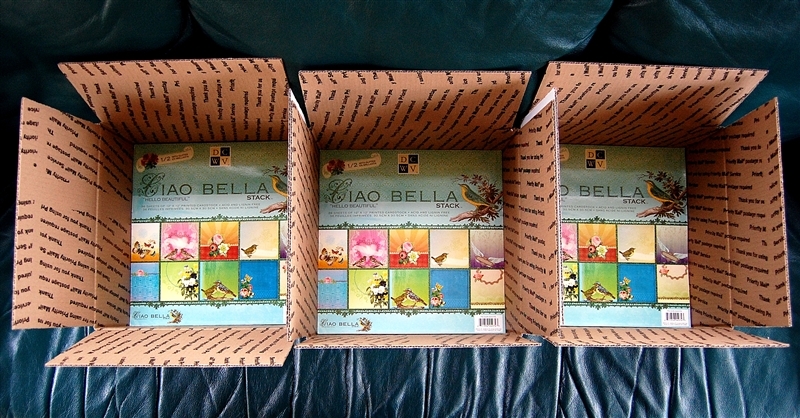 I am so excited to show you all of the things that will be added to the boxes and I wish you all good luck! 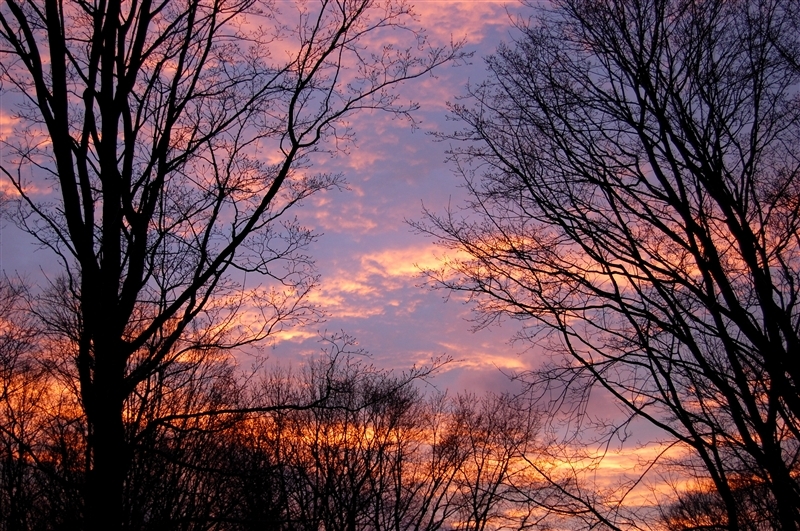 I had to share this photo of the sky from our back deck Tuesday night - amazing colors! Do you use Design Studio or the Gypsy (or both) with your Cricut and if you don't use either of these will you use the new Cricut CraftRoom free online design tool when it is available? Oh My Goodness! First of all congratulations on all your achievements! Secondly Thank you for this wonderful celebration and the trouble you are going through to send out some awesome gifts!! I am a follower. Also, in regards to your question, I use the Gypsy. I'm still trying to get the hang of it because I just got it this past Christmas! But for now I'm loving it. I liked your Facebook Page! Yay! 3 entries for me! I use both the Design Studio and the Gypsy. I love them both!! Even though I use them both I will use the new Cricut CraftRoom online design tool as well when it becomes available. I am a faithful follower of yours for sometime now. WOW a 2nd chance for me to win!! I have Design Studio but I honestly don't use it since acquiring the Gypsy. I have played with Craft Room and I am not sure how much I will use it once it gets to the final version but I do love my Gypsy. I liked you on FaceBook!! A 3rd chance for me to win!! YEA!! I love winning! This is how I got my Gypsy!! Congrats Diane! 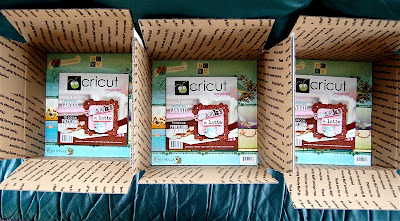 Cricut.....I use both Design Studio and the Gypsy, and definitely plan on using Craftroom when it becomes available. With the Imagine, I believe using the Craftroom will help it reach it's full potential! and last but certainly not least for the day, I am a fan of your Facebook page!! ONE MILLION?!?!?! Seriously??? WOW! A girl can dream can't she? lol Congrats on all of those amazing milestones Diane! Thanks for the chance to win some awesome prizes! Oooops...I got so excited that I forgot to answer your question! lol I will answer it here on my second chance starting off by saying that I've been a long time follower! I use my Gypsy religiously (not sure I could craft without it anymore!) and sometimes go back to DS when absolutely needed. I will probably check out the new Cricut Craftroom when it's released to see what it's all about. Chance #3 because I am a FB fan of yours too! I am a faithful follower of yours here on your blog but am not joining you on FaceBook, sorry, It is not secure enough for my liking. I use both CDC & Gyspy and will definitely use the CraftRoom when it launches. Thank you for the chance to win one of your treasure boxes LOL!! Hi Diane, I just recently became a follower and so happy to be a part of your recent achievements! wow!!! Thanks for the opportunity to win something as awesome as your package!!! And congrats on the awesomeness of your blog! It's one of my favorite blogs to check out! 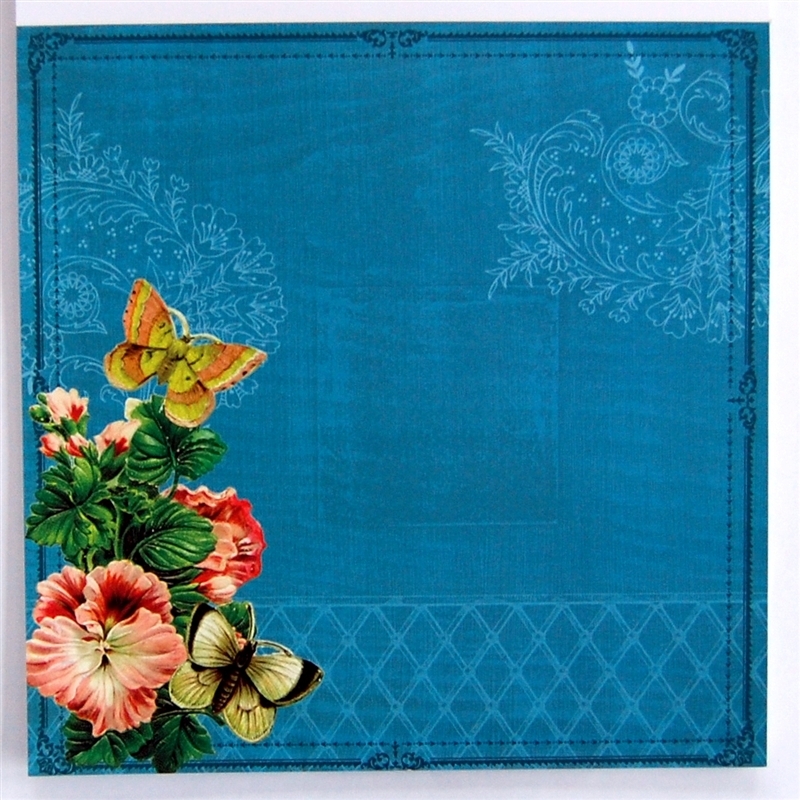 I do not have a Gypsy, I have tried Design Studio and will look forward to seeing what the CraftRoom has to offer. Congrats on you blogoversary, and you are so kind to give us a chance to win some goodies even the paper pack would be great. Diane I love your blog. I use both design studion and gypsy. I have to say I much prefer the Design Studio, I find it much easier to work with. I have a gypsy but really don't know how to use it! I have played a little but that baby still scares me! I will be sure to check out the Cricut Craftroom when it arrives. Thanks for all your great ideas and great giveaways. Just "liked" you on facebook. Thanks for the chance to win! I use CDS (LOVE IT!!!) and Gypsy (I use it more every day so I can learn to love it as much as my CDS) and I'm looking forward to the Craftroom. Love to come to your blog every day and learn new things. Thanks for sharing your knowledge and for your generosity. Congratulations on your blog milestone! I love this blog because you are a CMC like me, but just can't limit yourself when it comes to crafting! Thanks for the give away op! I use my Design Studio for my cricut to maximize my cartridges. I only have 5 cartridges, so, I use the DS to recreate the images. It takes time, but well worth it. I am a follower. Thanks for the chance to win. Congrats Diana! 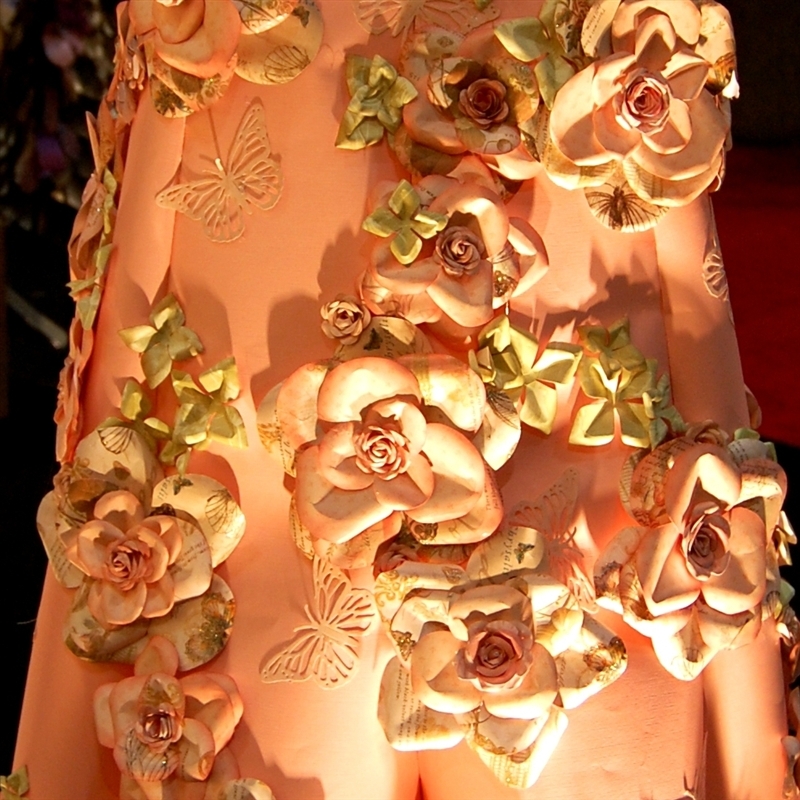 I really enjoy your blog and appreciate all the beautiful creations that you make and share with us. I am a follower and keep up with you using RSSFEEDER on my phone!Yes I use DS and the Gypsy. I thinkj I will try the new Craft Room as I do have the Imagine and the G doesn't do everything that I need for it to do with it. Thanks for the chance to win some gorgeous prizes. Congrats on your followers. That is a major milestone. I am imagining the craft room will replace my Design Studio. I love the size of the screen on DS and it appears I will have that in the craft room as well as the features of the Imagine as well. I am thinking it will be Cricut Paradise. 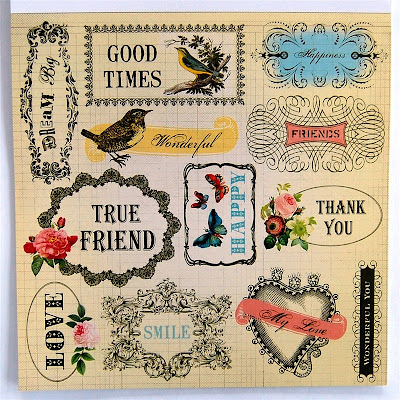 Thanks for the chance to win...I have a gypsy and design studio and will probably use the new online craftroom. I am also a follower. Love your blog. I have also joined you on Facebook. Thanks for all these chances. Love the paper and this will be fun answering questions. I have the Design Studio but haven't used it since I got the Gypsy more than a year ago. My plan is to use the Cricut Craft Room once it is up and running. Fortunately my computer is now in the same room as my crafting stuff. I am also a follower of your blog and love it. thank you for the chances to win. I've been following for quite some time. I do use my gypsy and I may try the uploads if they come available. thank you for the chance to win something. I don't have DS or a Gypsy and I'm on a Mac, so YES YES YES I do plan on using the cricut craft room! I use my design studio. I'm a fan of Design Studio....don't really see the need to use the Gypsy 'cause I don't scrap-on-the-go....Looking forward to seeing what this new free CricutRoom is all about though. I have both the gypsy and design studio but haven't used either one much. I do plan on trying/using the new online craftroom when it is available. What an exciting blog candy. I sure would love to win. I do not have the Gypsy right now, and even though I do have Design Studio, I've never learned to use it. I'm not sure If I would use Cricut Online or not. I will have to wait and see how I like it. I also follow you on FB. I use the Gypsy most of the time and DS when I have forgotten to charge my G (good grief) and have plans to check out the new software online with my Imagine! Thanks for all the great tutorials and sharing that you do here. Thanks for the great chances to win. I have both ds and a gypsy but I only use ds because I am a kitchen table scrapper and don't have room for computer/cricut/misc all in the same place. Congratulations on your blog oversary! You are such a faithful poster and I always enjoy your posts! I use both my DS and my Gypsy. I Will use the new software, as I love the bigger screen with my over 40 eyes! I am a follower! 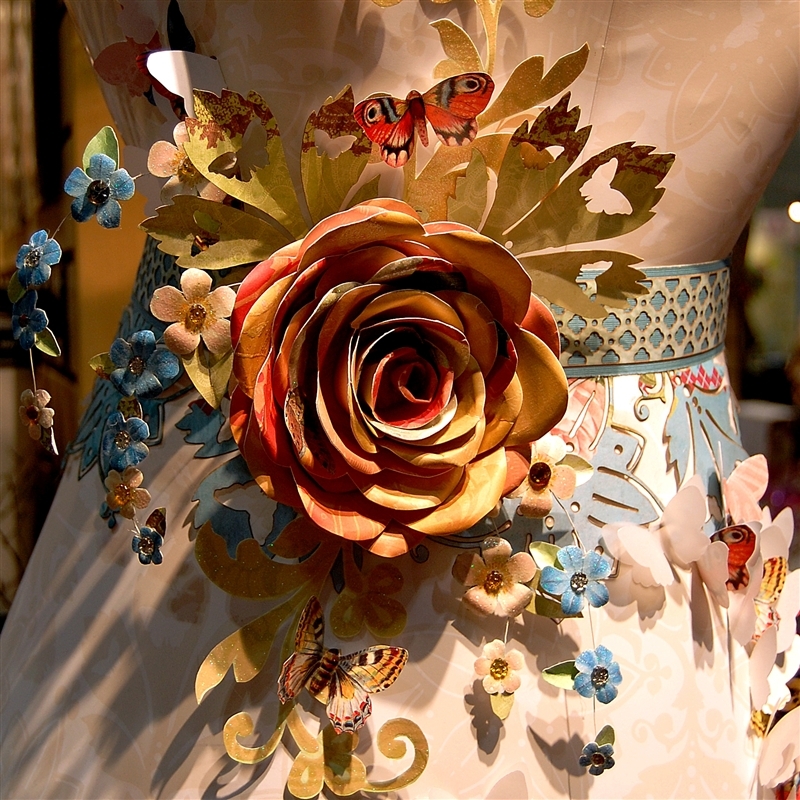 I love looking at all the intricate designs you make. Congratulations on your growing site. I enjoy looking at your projects. I use both the Gypsy and Design Studio. With older eyes, the DS is my preferred one. I plan to make use of the Cricut Classroom when it becomes available. Thanks for sharing. Hi Diane-you spoil us so much! Thanks for these 3 chances to win. My favorite number is also 3 and my daughter loves 7! I do not own gypsy, but do have DS. I will be trying the new Craftroom--didn't realize it would be free! Yay! I use the gypsy. I am learning all the time the various ways to use it in design work. Fun! Diane the DCWV papers are delicious! The things that you and others do with them are really amazing. Thank you for the chance to win. 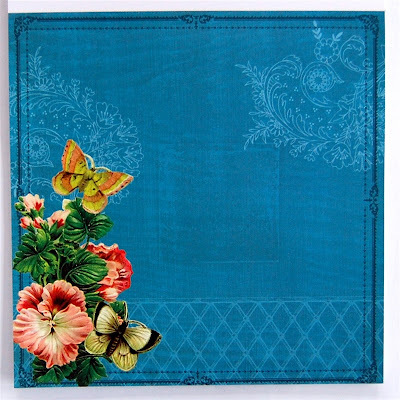 I do use the Gypsy, DS and have plans to check out the new Craft Room program especially with my Imagine. I've had my Gypsy for two months, but I don't know how I lived without it!!! I use my Gypsy and can't wait to get the new free online CraftRoom. Thank you for your great blog and giveaways! Love your blog, visit every day! I guess I really should sign-up as a follower! But you are in may "favorites" and I just quickly click through them to see new posts. I don't have a Gypsy, but do have Design Studio. Can't really say I "use" it though...not all that impressed witht he software. I do have an Expression, and use another software package with it! I will have to investigate CR when it is released to see what it has to offer. Congratulations on your Blog Celebration! I visit your site daily and love your style and easy to follow tutorials! I have the Design Studio and Gypsy but usually only use the Gypsy. I will definately check out the new Craftroom. Thanks for all your inspiration and the chance to win some awesome prizes! Just wanted to let you know that I am now following you on FB. How cool is that! Thanks again for the chance to win. And yes, I will be using the new Craftroom with DS. Don't own Gypsy. Congrats on your milestones! I use Design Studio (because I can see it better) and my gypsy. But I will for sure check out the new CraftRoom. I've been following you via e-mail for a long time. I've learned soooo much from you and treasure your blog. Congratulations on your milestone. I don't have either and am looking forward to see what the new tool will have to offer. Hi - OMG your postings and artistic ability is inspiring. I am a follower as well as subscriber to the email - so I'll add another comment. You answer your question - I do not use DS or have a G yet. I hope to have a G as I think the prices are dropping. But yes - I will take a look at the new online design tool and see what it has to offer. thanks!!! Thanks primarily to you I have a basic understanding of design studio! I try to use it but I'm still learning! Thanks for a chance to win and for sharing all your ideas! Wow, what fun we are going to have this week!! I love your posts. Look forward to them every day. I am already a subscriber/follower. Thanks so much for this fun giveaway. My second post of the day :) I just joined you on facebook! YEAH!!!! Congrats on your blog hits and 3 years of success and many more to come! I do not use either a Gypsy or Design Studio (although I have it) but I do use SCAL2 and I know ProvoCraft doesn't like it and it may not be compatible in the long as a result, so when the new CraftRoom comes out I think I'll definitely add that to my hard drive. I have both the gypsy and design studio - but I use the design studio more often. I just love your blog and I have been a follower for a few months now! Wow, you have the most wonderful blog and I have learned so much from you. I have Design Studio but do not use it since I got my Gypsy. 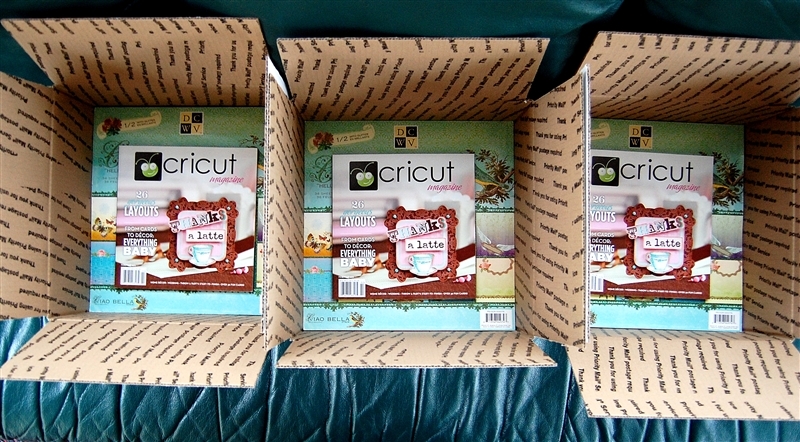 I will be anxious to try the new Cricut CraftRoom. yeah! happy blogvesary.. always fun! I use the gypsy and I did use the DS but I have a laptop now and it won't allow me to enter into old website.. BUT I do want to use the Craft Room!! I am leaving a 2nd comment because I am a follower of your blog. What a fun thing to do. I love to give gifts! I also love to get them too! Congradulations on your milestone. I am not surprised that you reached it as your blog is great.I use both the Gypsy and the DS and love them both. I will definitely use the craftroom when it is available. Thank you for sharing all your ideas. I use both design studio and the gypsy. I am still learning on both of them. I will use the new cricut craftroom too. . . . I really enjoy your blog and I follow it. Thanks for all the inspiration and thanks for a chance at the giveaways! I use my Design Studio constantly (I practically can't cut without it) but I haven't been able to get into the Gypsy. I believe I'll use Craftroom but still need to see how it will work. Congrats on all of your milestones. I have been a loyal follower (and email receiver) for about two years now. I am a facebook friend also. Oh wow, what a great chance for us to win some goodies. Thanks so much. In answer to your questions I don't have a Design Studio or Gypsy, but I'm interested in Craftroom!! Ooh and another chance because I'm a follower! And a third comment as a Facebook fan! I love your site and have it on my top row favorites. You always have such great projects and tips. Congrats on all your achievements. I use both the Gypsy and Design Studio. I prefer the Design Studio because there is more options with how to make projects work together. I take my Gupsy with me when picking up kids from school. I am excited about the Craft Room, no more trying to get the updates and not having the Cart I need loaded on DS. Thanks for all you do. Wow! What a way to celebrate!! I have tried the Design Studio trial version and liked it. I thought the Gypsy screen was too small. I am really looking forward to the CraftRoom since it can be WiFi connected to the E2 I will be receiving soon. I am a long time subscriger and follower. From one Diane to another, what a great contest! I liked you on facebook and I've been a faithful follower for a loooonnnng time! I have both the design studio and a gypsy. I prefer the gypsy as it is so portable and I can take it anywhere so I tend to use it more. If you give us great tutorials on the new craftroom, I am sure I can learn it too. You're the best! I have DS and use it most of the time with my jukeboxes. Thanks for a wonderful chance to win. Diane, yours is by far my favorite blog. I look forward every morning to sitting down at my computer with my coffee and Pop Tart to read your newest email- so well-written, with almost perfect grammar (which is so terribly important for me!!) Beyond your excellent handle of syntax, I can't get over how wonderful your projects are! You are more creative than I on my best day. I use my Gypsy constantly... it's the only way I feel that I can accurately know where exactly to place my paper, as well as know precisely what size my die cut will be. I'm not sure if I'll use the new Craftroom tool; it would seem like a waste of $150 to use it and not my Gypsy. My computer is also on a downward spiral, so until that gets fixed (or replaced!) I'll probably stick with my Gypsy. I use the DS. I do not have a gypsy.I have been waiting for the CCR to start!!! !BUT also for your stuff every day!!! I also am a blog follower (or whatever the term is for receiving your posts in an email). Yay for your amazing giveaway!!! I love the ease of using the gypsy. It enables me to be much more creative. 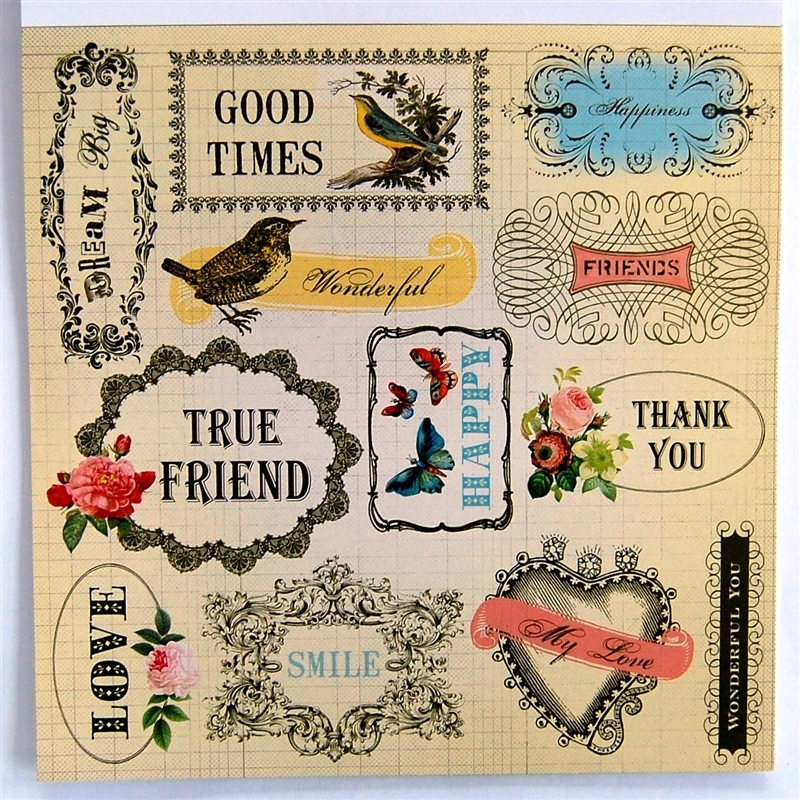 I also look forward to the newest Craftroom software, I love all that Provocraft gives us! A million (and one) reasons to follow your excellent blog. CONGRATULATIONS! I will try the Craft Room and look forward to it being available. I took your advice and bought a bigger Cricut and a Gypsy and now own more than 70 cartridges. The powers that be need to know your influence on Cricut users. You are really great. I read it most everyday. Don't always post but I love all your great ideas. I also "like" you on facebook! I've been facebook friends with Diane Capadia Campbell Payne on FB for a while, but I didn't realize that you had a page for your blog to like as well!! I also liked you on facebook....somehow I missed that until now, so I am happy you put that down as another chance. Thanks Diane for all the great help you have gave to all of over the passed few years. Congratulations Diane. I am and have been a follower for quite a while now. I have learned so much from you. Thank you. I use both the gypsy and design studio. I like them both for different reasons. I don't use Design Studio or the Gypsy. I am however looking forward to Cricut's new program. Craftroom. Coming soon I hope. I am a long time follower and subscriber. Oh, my goodness! What fun! Congrats to you! I send anybody I meet who has questions about DS to your blog. It is the best! I use Design Studio and I'm looking forward to using the Craftroom. I am a follower/subscriber. Your blog is one of the first I check each day! Congrats on your numbers! They are HUGH ~ and only going to get bigger! I have DS and LOVE it ~ use it daily! Also have the Gypsy and am still experimenting with it. #1 feature is it's portability. Tried out the test version of the Craft Room ~ looking forward to it! Congratulations on your accomplishments. I use design studio, I very rarely do anything without it. Hope I win. I am a follower thank you for this second chance to win. I "liked" you on FB and left a comment. My third chance to win! Thank you for all these opportunities. Subscriber and follower...I use CDS. Probably won't use the on-line service. I "liked" you on facebook and left a comment. Keep it going! Congratulations!! Look forward to your e-mail every morning. I use design studio all the time and will check out the new site too. I also am a flollow--on my way to FB!! I use both gypsy and design studio. I'm not sure if I'll use the free one all the time -- but I'll give it a try! Thanks for doing the 3 x 7 giveaway -- what a cool idea! Wow Thanks for the opportunity to win!!! I use my gypsy most for designing however i do plan on using the new program as well!!! Diane - I am a follower of your blog - I look forward to my morning cup of Earl Grey with you every day!!!! Wow - three times a day!!! I "like" your facebook page!! Thanks again!!! I love my Gypsy ... I use it all the time! I've played a little with the Circut CraftRoom and I think it's going to be awesome! I love the Gypsy, but I've been thinking about getting Design Studio just to have a larger screen to work with (aging eyes!) I haven't seen much about the new product to know if it will have any different features - but will definitely check it out! Congratulations on your achievements! I would LOVE to be one of your winners! Thanks for the chance to win a box!! Yes, I use DS with my Cricut. It makes things so easy, being able to maneuver letters and weld things together. I haven't seen the CraftRoom, yet, and I already know it's going to be great! I do use my Gyspy quite a bit with my Expression and I will still use the Craft Room! Thanks for the opportunity to win! Congrats to you! Congratulations, your blog is packed full of great information... I read you everyday. I use the Cricut Design Studio and will absolutely try the new Cricut CraftRoom. Thanks for your dedication. I have been a subscriber for quite a while! Thanks again! I'm a follower and a subscriber ... I usually visit your blog each morning while I eat breakfast ... a daily dose of inspiration. I 'liked' your facebook page ... thanks for the chance to win! Yes, I do use design studio. I am planning on using the on-line service as well. Thank you for an opportunity to win a box of goodies. I love visiting your blog daily. Yes, I use the Gypsy -- still a beginner, though. Thank you for this chance to win. I use DS, still learning. Can't wait to see what you add to the boxes. Wow! what a lot of milestones! Congratulations. I use Design Studio even if it is only to make the best use of my paper. I'm not as proficient as you, so I love your tutorials! Thanks for the chance to win this wonderful prize! I am a long time follower of your blog as well. I look forward to it every morning! I'm a subscriber to your blog and always look forward to it everyday. I've learned so much from you. Thank you. I use DS and Gypsy. I use DS and my Gypsy, not sure how I feel about the upcoming Craft Room at this point. I hope it delivers. What a great milestone - congratulations! I have DS and use it all the time; I'm looking forward to CraftRoom. I am a follower of your blog and have referred several others to your blog as well. I am also a subscriber and love everything you do, and look forward to your emails everyday. 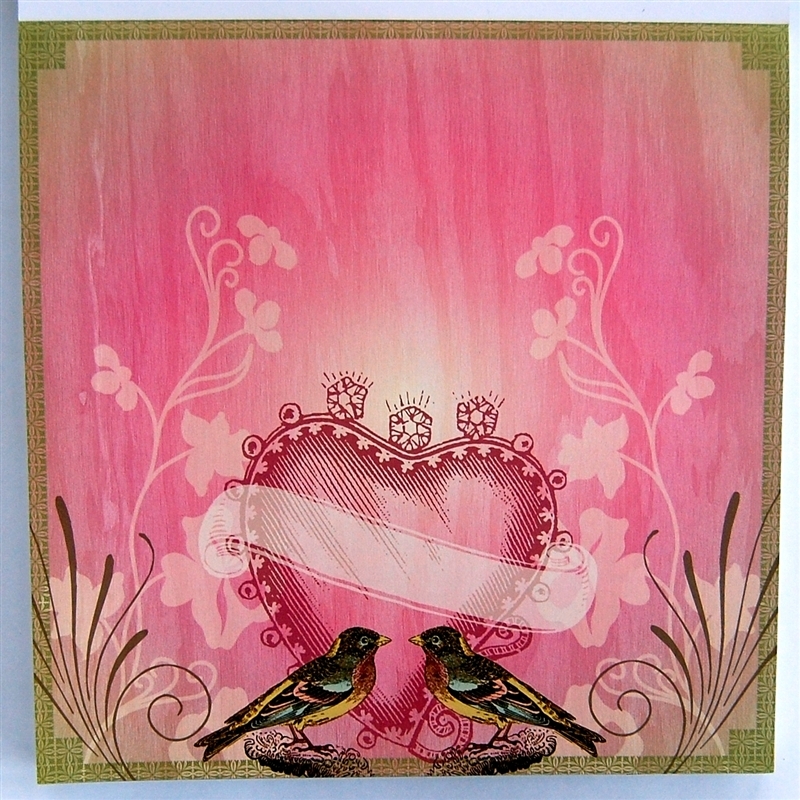 I do use my design studio and gypsy, and look forward to using the cricut craftroom when it comes out. Thanks for sharing all that you do and for this AWESOME celebration! I'm a long time follower. We met at the Valley Forge PA circle meeting. Congratulations on your achievements! I use my Gypsy. I don't ever use my Cricut without it. Even if I'm not welding or doing anything special, I just put all the layers on the mat. Then I can verify the sizes. Sometimes Cricut cuts are measured by width, rather than height, so the Gypsy alleviates this problem. THIS IS A FANTASTIC GIVEAWAY!!! AND IT DOESN'T SURPRISE ME A BIT THAT YOU HAVE SO MANY FOLLOWERS - CONGRATS ON ALL YOUR ACHIEVEMENTS!! I have been a Follower for a long time AND you are the first blog in my "favorites" list so I check out your blog every day!! Yes, I use Design Studio AND the Gypsy - Design Studio is easier for me to see on my PC screen than the Gypsy so I tend to use it more. AND, yes I will use Cricut CraftRoom WHEN it becomes available and they get the kink's out (Cricut's track record isn't excellent, if you know what I mean)!! I *have* Design Studio, but rarely use it. :-( shame on me! I do use the gypsy...I don't have the design studio so I'm looking fwd. to the online version of the craft room. Sometimes the tiny screen on the gypsy just doesn't work for me...even with the zoom. Thank you for the giveaway...this looks like fun. What nice goodies you are giving away! I have both design studio and a gypsy. As I become more comfortable with the gypsy the less I use the design studio. I guess I will also use the cricut craft room, when it is available. I don't really know anything about it yet. I've been a follower for a while now...just under a year I believe. I love reading your blog! Love my Gypsy- have always had DS but never could get the hang of it- always have meant to try with all your great tips!love your blog..thanks for all the great ideas and inspiration! happy anniversary- we love you! kathy b.
I "like" you on facebook...I love facebook...didn't realize you were on there. I am also a follower, but I don't do facebook. Thanks for the chance to win these goodies. And congrat on all your accomplishments! I am new to the Cricut world so do not use the design studio or the gypsy YET, I would defintely try the cricut craftroom when it comes out. Sorry, Diane, I was so excited about all the goodies, that I forgot to tell you that I only have DS but use it almost every time I use my cricut. I will be checking out the new CraftRoom when available. To keep things fair with everyone else, please don't count this post as an entry, just an extension of post number 147. Thank you. Yes, I am a follower so that gives me another chance to win! yoohoo! I am a Facebook follower! Thanks for the chance to win! Wow. What a great give-away. Thank you. Congratulations on all of your milestones. I use Design Studio and LOVE it. Use it on all my projects. (I do not have a Gypsy.) I am planning on using the Cricut CraftRoom, or at least I'm going to check it out. I've received your emails and I love reading them for inspiration. I also love DS AND my gypsy and utilize them both and very excited for the new online craft room. I wasn't aware you were on facebook, heading over right now. Thanks so much. I use DS all the time. I am not the genious you are with it but I never cut without it!! I use DS. Just can't get into my Gypsy. Wish I had someone to sit with who really understands it and that might get me motivated to use it. Thanks for the great contest! I am a blogg follower as well! Thanks for another chance to win! I use both. 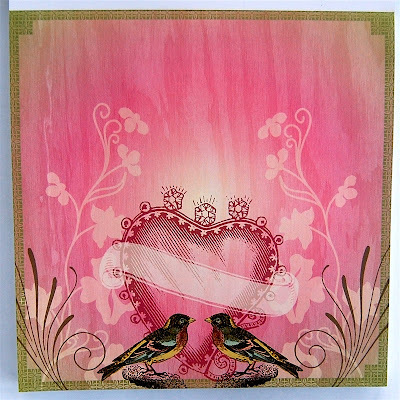 I'll use DS so see larger detail and then I create it in my G. I've played in the new Craft Lounge. Hope there are improvements. I look forward to cutting with it soon. I have been a follower for quite awhile. Thanks. OH MY, fabulous achievements for your blog. I must say, it has served as inspiration to me over the year or so I've been following. In answer to your question: I have Design Studio that I haven't used much, a Gypsy that I've used only slightly more, and I DO plan to use the Cricut Craft Room when it's online and available and FREE. I consider all of these resources/tools in my arsenal. Now if I could just buy some more time to use them all!! Congrats on your million mark! I use DS... I just don't think that I would like the Gypsy because it is so small compared to a computer screen. I am however, interested in this Cricut Craftroom thing. ....and OF COURSE I am a follower and subscriber!! I have the Design Studio and can't get it to work with my Imageine or baby bug! I ahve done the updates and still can't figure it out. I hope the Craftroom will work. Looking forward to using it!!! ...and we all need more friends, so yes, I "LIKE" you on Facebook too. Thank you for the opportunity to win an awesome prize!! I use my gypsy sometimes but i think i will use the CCR more often! I love your blog! Have both the Gypsy and the DS but I'm not good with them. I would probably try the on line but not real sure about that. I have a Gypsy & DS. My DS arrived a week after my first Cricut. I'd be lost without them. I mostly use my gypsy with my cricut. I have design studio, but since my computer is not near my cricut I hardly use it. I do plan to use the craft room as it seems more user friendly. I've been a follower on blogger for ages. I'm a FB follower too. I think I signed up one of the first days because i love all the colorful things you do. Wow! Congrats on your blogaversary:-) I use Design Studio, but not too often. I think it's a pain to clear a spot on my craft table for my laptop, and I wish it was iPad compatible. So, I download all my handbooks to my iPad and think about designs while I am out running around. I will try the online program when it comes out! Oh Wow, Wow, Wow, I hope my name ends up on one of those fantastic boxes. Ok, I have been a follower and I get email up dates which is a great thing. I am headed to Facebook and then I will be back to tell you my answer. I use both DS and Gypsy. I don't know how I make my decision which to use. I think I use my Gypsy the most though. I have been a long-time follower. I do own Design Studio but I think the new Cricut Craftroom looks even more "user friendly"!! Can't wait to try it!! Thanks for the chance to win! The boxes look great so far! I am going to follow you on Facebook as of today. Congrats on all your achievements! You are such a special person to share all your knowledge and talents with us. I have both gypsy and DS and prefer DS because of the screen size. I can't wait to see what the craftroom will be like. I have had DS since the early days with all the problems and I'm hoping craft room will work easily. I love you, I like you, I follow you, I'm inspired by you. I want to be your when I grow up!